I generally don't eat crepes because I don't like my fruits mixed with anything... even whipped cream. And that is how I've always seen crepes are served, with fruits. So, when we were served Gateau de Crepes at a family gathering, I thought to myself: "Good thing we brought cake." But when they started slicing out the giant of a crepe, I got intrigued. And when everybody started raving about it, I decided to step out of my comfort zone and have a bite. Suffice it to say, since I am blogging about it, that I was a convert. 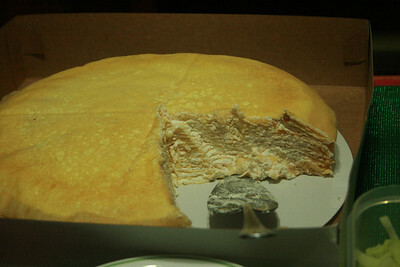 I loved how it tasted like a dessert but wasn't too sweet, but also very fluffy, airy and light. My youngest also devoured it, so we had to ask my cousin-in-law for some take-home. 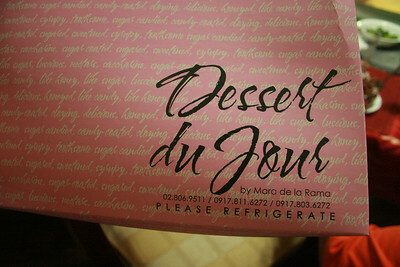 He said he has always ordered from Dessert Du Jour (by Mara de la Rama-Poblete, 0917.811.6272 /0917.803.6272 ) and has always appreciated that they can get something that's low sugar but get their guests raving. you can't even see the layers because they're so thin! and this is about 12" in diameter so it's also value for money in terms of number of servings! Don't just take my word for it... try their gateau de crepes. 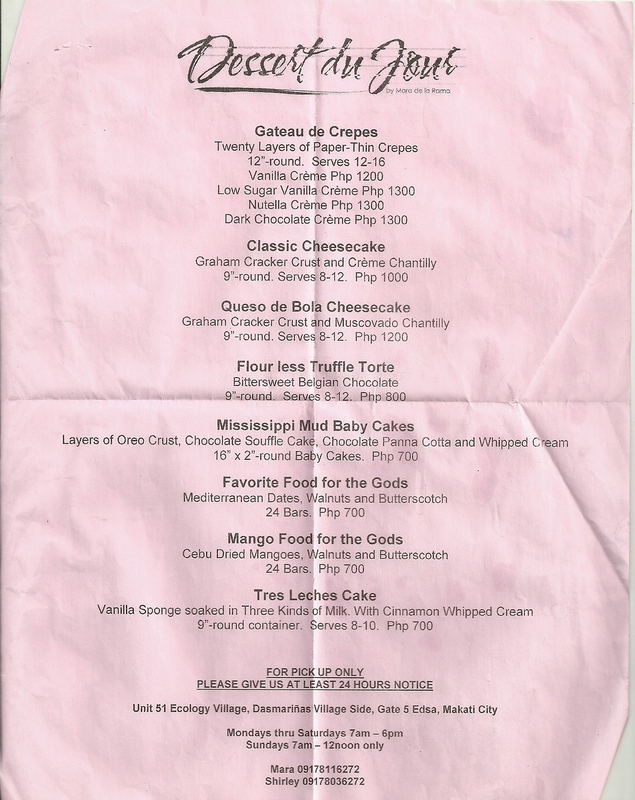 I think we'd get the quezo de bola cheesecake for my niece's birthday since she feasts on quezo de bola :) Click here for Dessert Du Jour's latest price list.